Football is a big deal almost everywhere in the world (that’s the “no hands, kick the round ball” sport, Americans), and Liverpool needs no introduction to anyone other than someone who doesn’t follow the sport. Similarly, unless you are on the outside, you are probably familiar with YNWA – “You Never Walk Alone” – the song beloved by so many fans. Norwegians also love football, of course – it’s played by people of all ages beginning when children become slightly larger than the ball, and ending only when people need an electric scooter to get up and down the field. Sometimes, they even play it drunk or wrapped inside balloons. But what you might NOT know, is that along with being big fans of the national team and various local football clubs, there is a large population of Norwegians who are super engaged with Premier League football down south. 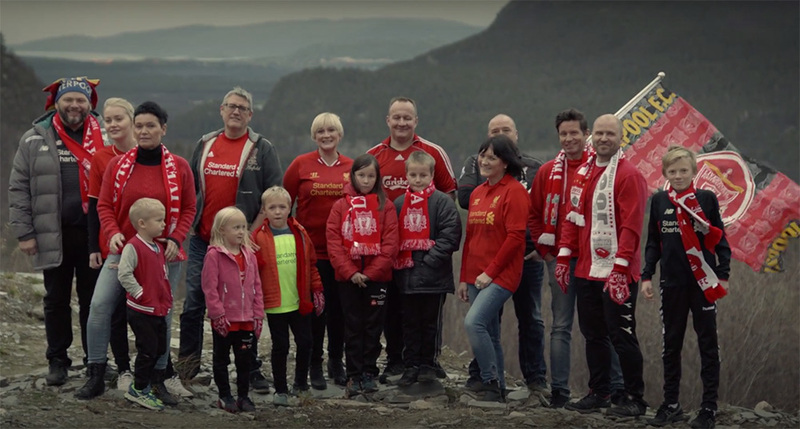 Every Premier League team has its share of supporters here in Norway, and it’s common that groups from various towns will take road trips down to England to watch their favorite teams play. That holds true even up here in Alta, the biggest town in Norway’s vast, arctic county of Finnmark. Alta is home to a mere 20,000 residents and that’s more than a quarter of the entire county’s population. There are more reindeer here than people, but even in this remote part of the world, Liverpool has a big following… at least, relative to the total population. So it’s no surprise that YNWA is a familiar song here for many people. Sometimes, though, the way it is sung can be a surprise, and in this case it’s a delightful one. A whole crew of people in Alta and around in Finn mark have come together to make this incredible music video. 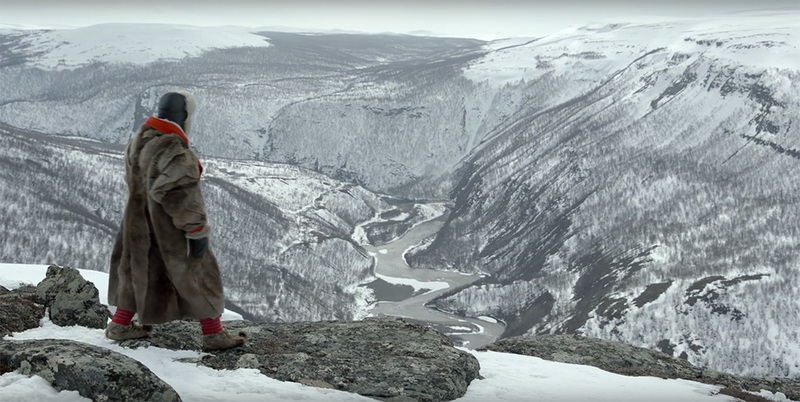 The words have been translated into the Sami language, and sung by the Sami artist Marit Hætta Øverli. The video is shot both in Liverpool and around the “neighborhood” here, and yes, that REALLY IS what it looks like up here. You Never Walk Alone. Not even in the arctic wilderness. Enjoy the video, and let us know if we can help you plan a trip up here someday!